The problem for President-elect Trump is that the American people fully expect his administration to now keep that campaign promise. Unfortunately, preserving Medicare and Social Security benefits could be among the first of his promises to go. Trump and Republican leaders in Congress have vowed the repeal of the Affordable Care Act will be one of their first acts. 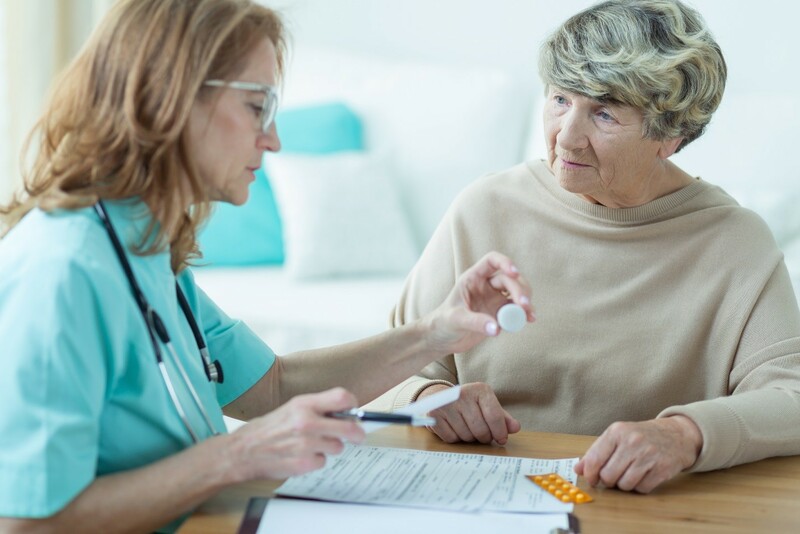 For seniors, that means billions in lost Medicare benefits, the return of the Part D prescription drug donut hole and years of solvency taken from Medicare. Millions of seniors will immediately feel the effects of these Medicare cuts which will weaken the program itself. "The Affordable Care Act strengthens Medicare's financing by increasing efforts to reduce waste, fraud and abuse; slowing the rate of increase in payments to providers; improving quality of care and phasing out overpayments to private Medicare Advantage plans, plans that are continuing to increase their enrollments each year. The impact of these provisions has already resulted in extending the solvency of the Medicare Part A Trust Fund by more than a decade and lowering Part B out-of-pocket costs for beneficiaries. In addition to Medicare beneficiaries, the Affordable Care Act is very important to millions of adults ages 50-64 who are uninsured because they do not have access to affordable private insurance. Many of these individuals are now able to purchase private insurance even if they have pre-existing medical conditions, and costs are more affordable due to the law's limits on age rating and the subsidies available for lower-income beneficiaries. "What's so inspiring to me is how much consistency there is between Donald Trump and the agenda House Republicans have put forward with a 'Better Way. '"...Vice President-elect Mike Pence. Again, President-elect Trump won't be able to have it both ways on this issue. If he wants to preserve seniors' benefits in Medicare, as promised during the campaign, then adopting a voucher plan designed to shift costs to seniors fundamentally violates that pledge. Privatizing Medicare with a voucher plan, will leave seniors and people with disabilities - some of our most vulnerable Americans - hostage to the whims of private insurance companies and making it even harder for seniors to choose their own doctors. Beneficiaries will pay more money for less coverage because vouchers will not keep up with the increasing cost of health insurance. That is how the program saves money - at seniors' expense. In fact, the Congressional Budget Office predicted the CouponCare proposal in the GOP's 2011 budget would cost seniors $20,000 more each year. Over time, this proposal will create a death-spiral ending traditional Medicare. This scheme is, by definition, the antithesis of "not touching" seniors' benefits. This conundrum for the Trump administration doesn't end there. On Social Security, the warning signs for seniors are just as alarming. Trump advisors and the Republican platform have made it clear that "entitlements" will very likely be on the agenda of a Trump presidency. "After the administration has been in place, then we will start to take a look at all of the programs, including entitlement programs like Social Security and Medicare. We'll start taking a hard look at those to start seeing what we can do in a bipartisan way." "I think you're going to see him do it across the board on entitlements." "He's not making the case because it's a political suicide to make this case. If you go up and start saying I'm going to attack Social Security, I'm going to attack Medicaid...there goes those votes. So no smart politician is going to step into this milieu." The American people have spoken. They said they wanted change - they got it. And yet, they've also made it clear they don't support cutting middle-class benefits for millions of American families who depend on Social Security and Medicare. Time will tell whether President Trump will keep the promises candidate Trump has made and what this "change" election will actually mean to workers who've earned their Social Security and Medicare benefits and expect them to be protected, as promised.